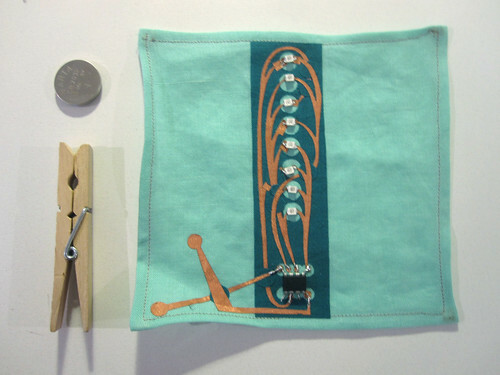 LED POV (Persistence Of Vision) display using ATTINY45 and textile circuitry. 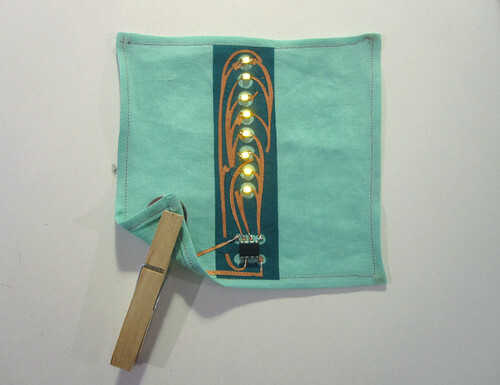 Persistence of vision is the phenomenon of the eye by which an afterimage is thought to persist for approximately one twenty-fifth of a second. 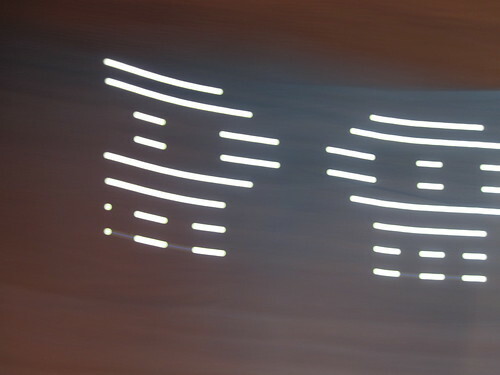 By rapidly moving a single row of LEDs displaying one spatial portion at a time, a viewer perceives an image as a whole. 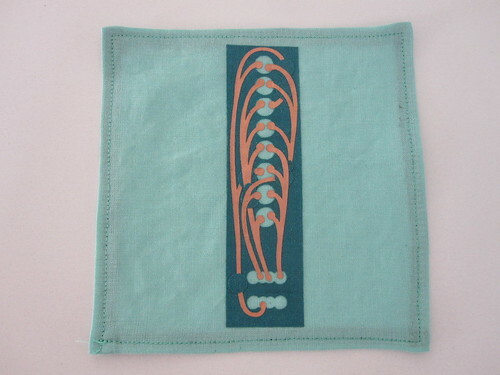 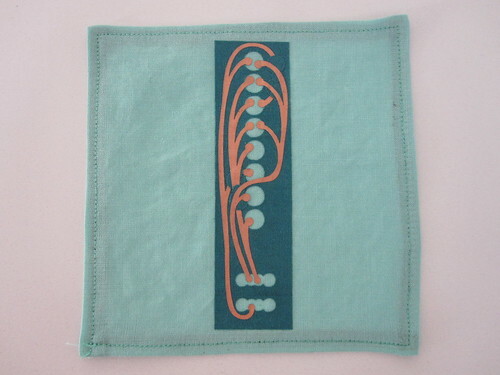 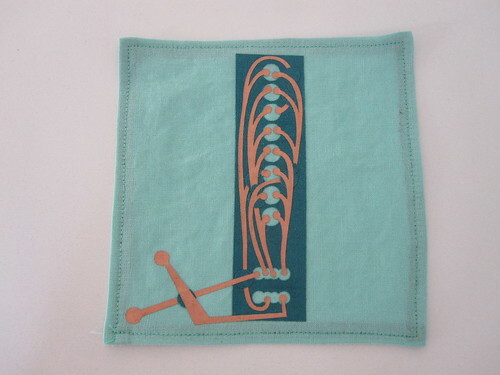 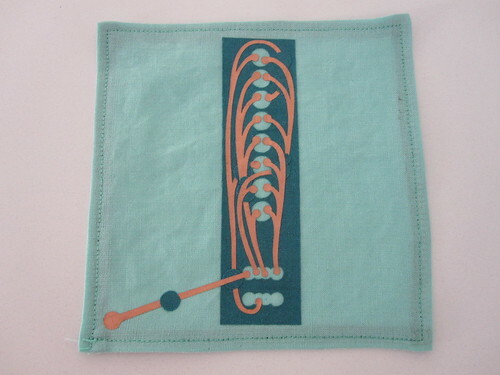 In this swatch sample, I used copper plated conductive fabric as textile traces to create a charlieplexing circuit for 8 LEDs controlled by one ATTINY45. 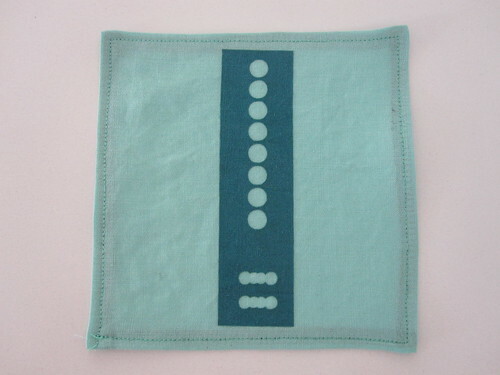 The fabric is fused with fabric iron-on glue and laser cut to the particular shapes. 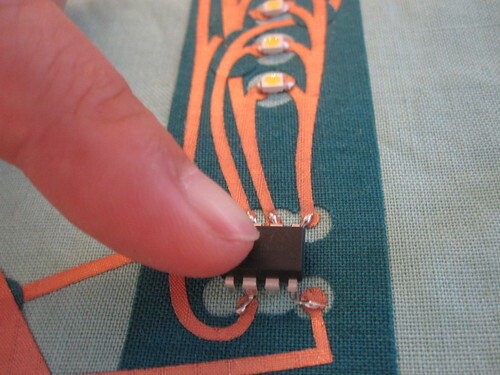 After the circuit is laid on the base fabric, LEDs and IC are directly soldered onto the conductive copper fabric. 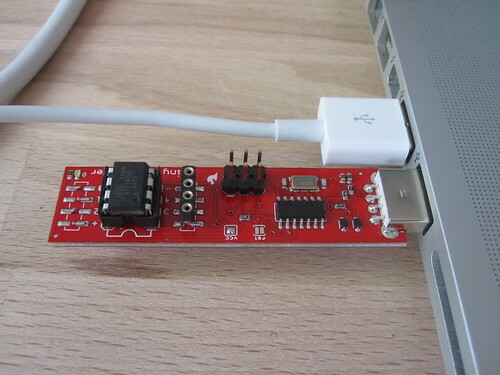 To increase the speed of the operation, I am directly setting the port values of the microcontroller instead of using Arduino’s digitalWrite() function. 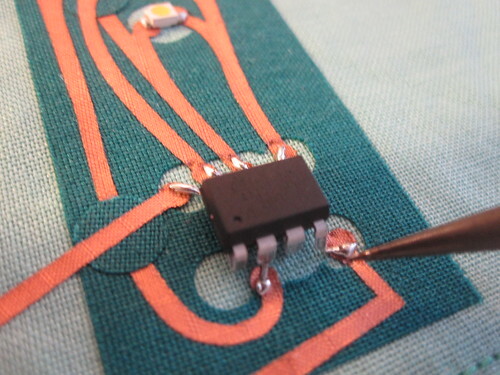 Fix the laser cut conductive fabric traces onto the base fabric. 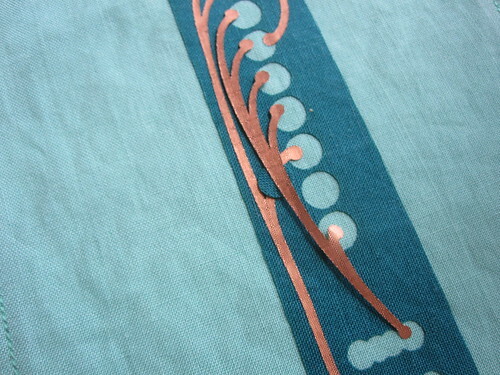 I applied the fusible interface on the copper conductive fabric first and cut it to the traces shape with laser cutter. 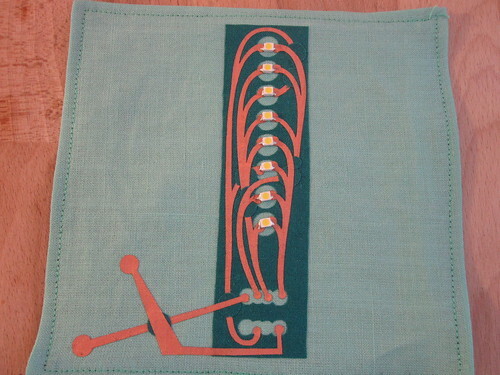 Then placed them onto the base fabric one by one using iron. 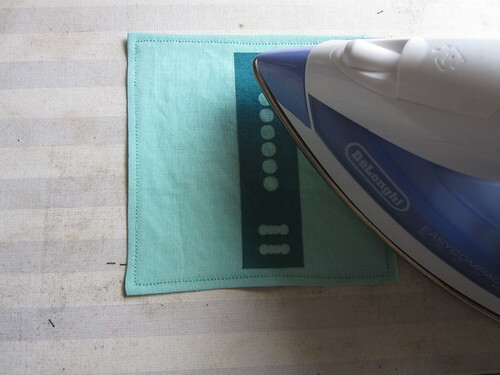 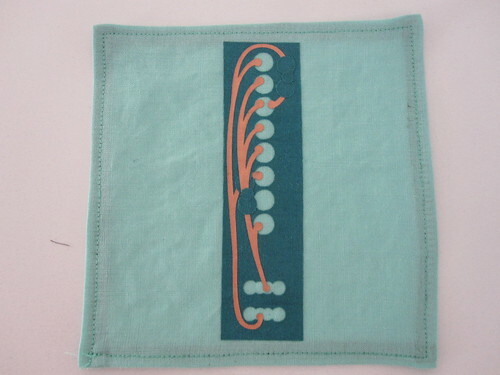 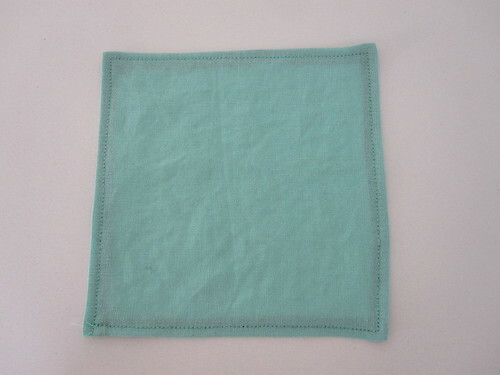 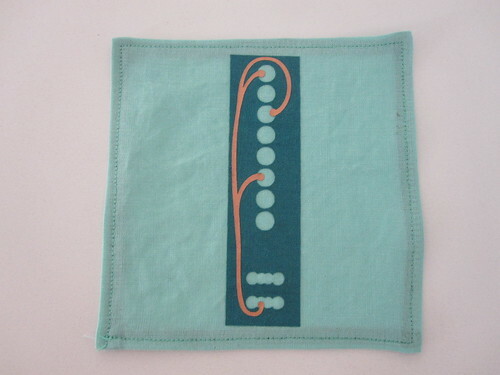 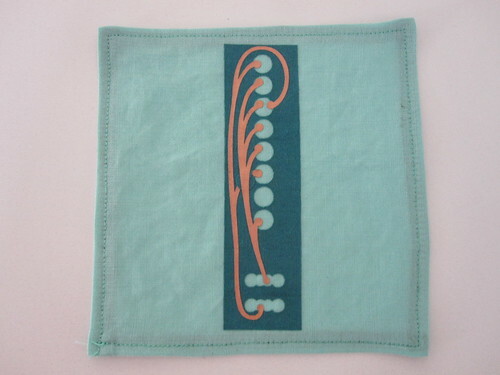 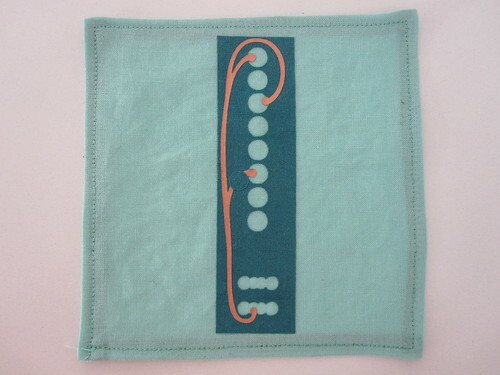 Use normal fabric to isolate the crossing section of the traces. 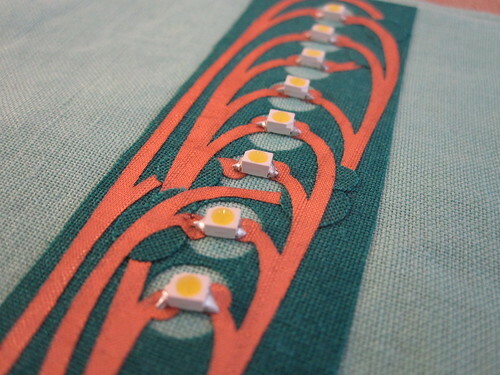 Solder SMD LEDs onto the copper fabric. 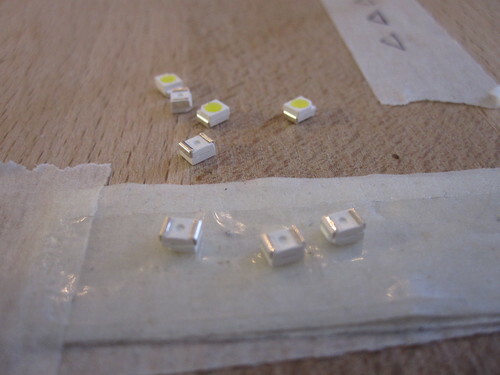 I use double sided sticky tape (you can make a loop of normal sticky tape and use it as double sided also) to fix the SMD LEDs while working. 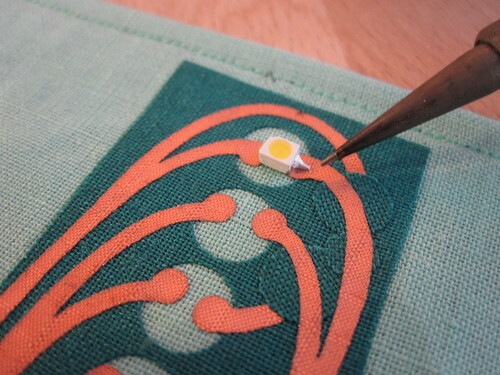 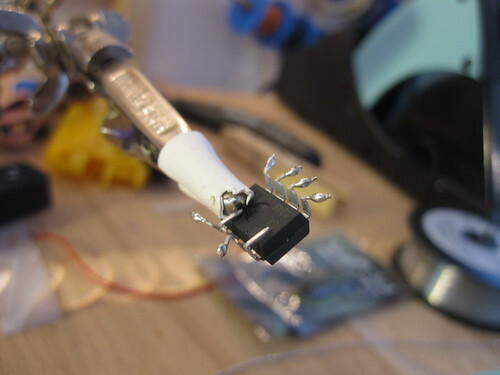 Apply small amount of solder onto the LED first, place them onto the copper fabric and quickly melt the solder that is on the LED already. 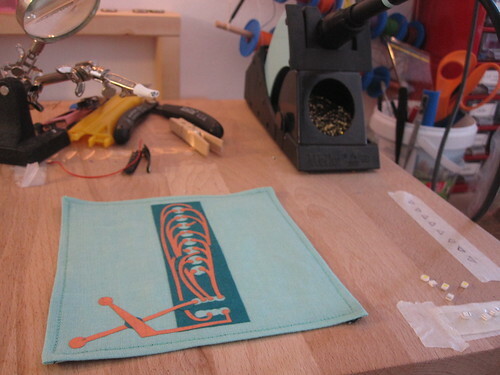 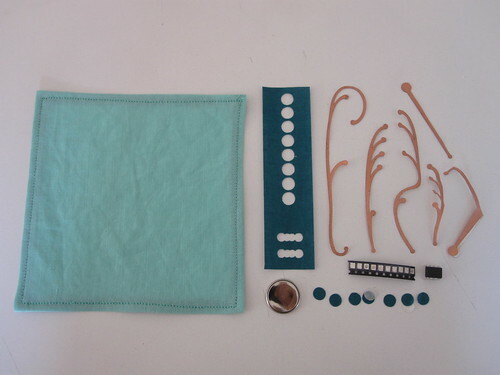 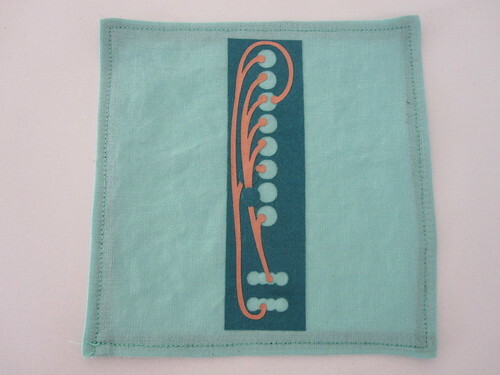 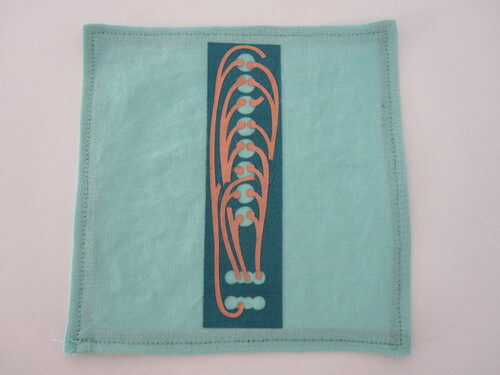 You can solder onto the copper fabric if you do not heat the fabric too much.